So, I finished 13 books this month. That is down quite a bit from my averages over the past year or two, but I am guessing that this is probably my new normal with agenting (although the fact that I watched all 7 seasons of The West Wing this month probably didn’t help either). This is why I am transitioning to only two print/ebook reviews per week, plus an audio review. I will occasionally have other content as well, but those of you who do not use RSS to read my blog should count on posts Monday, Wednesday, Friday, and Sunday (review, review, audiobook review, Sunday Salon). This month’s breakdown includes 8 print or ebooks for a total of about 2900 pages and 4 audiobooks for a total of about 38 hours. Below you can see the books I reviewed this month, followed by the other books I read this month. I wasn’t sure (only seen the pics on Twitter). But yeah, high-five to you! You put my 8 books to shame! I can imagine The Bro Code on audio was hilarious. Neil Patrick Harris is coming out with a memoir and I’m definitely going to pick it up on audio if he narrates it himself. Wow that’s a lot of books read in a month. Once upon a time I could get through that much, then the part-time gig turned into a full-time gig, and that was the end of that. I just saw on another blog that AMC is going to make The Sparrow and its sequel, Children of God, into a TV show. That could be interesting. Thought you might like to know since you liked the book. 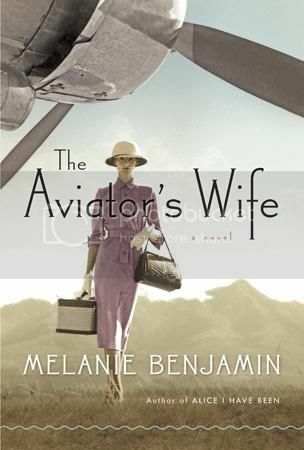 What a month, yahoo I haven’t gotten around to The Aviator’s Wife yet but I really should soon. I keep hearing good things about it! I have to say, I REALLY would not recommend starting with this one. I think this is a series that is best to start near the beginning in general, but this one you won’t even understand if you haven’t read the one that comes right before it in the series, and it is fairly different than the rest of the series.